The Amerock BP55270ORB Blackrock 1-5/16in(33mm) DIA Knob is finished in Oil-Rubbed Bronze. The BlackRock collection offers sleek simplicity with a contemporary indulgence. This eclectic line boasts bold shapes and sizes. The Oil-Rubbed Bronze finish is a rich, dark brown old world finish with striking light and dark accents. 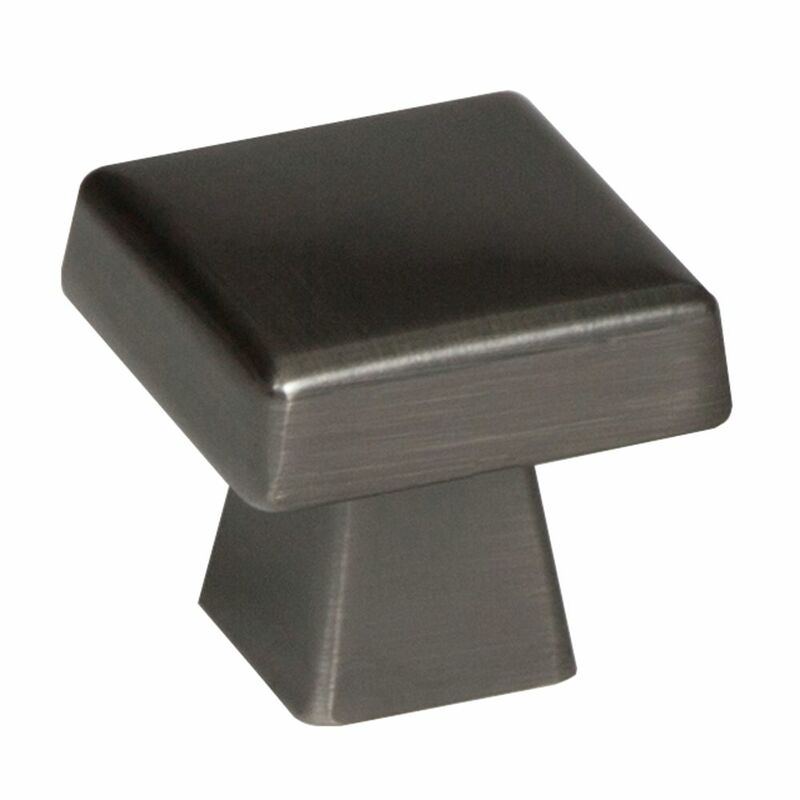 Blackrock 1-1/2 Inch (38mm) LGTH Knob - Gunmetal The Amerock BP55273GM Blackrock 1-1/2in(38mm) LGTH Knob is finished in Gunmetal. The BlackRock collection offers sleek simplicity with a contemporary indulgence. This eclectic line boasts bold shapes and sizes. Elegant and eye-catching, Gunmetal is the perfect alternative for those who love metallic, but prefer a hint of subtlety. Use this finish to enhance the modern ambience of stainless steel and black appliances without overwhelming their natural gravity.